In his latest video, Fr. Cekada provides us with an opportunity to further discuss his errors concerning the loss of office for a Pope. We will be using some recently translated material from the renowned twentieth century theologian, Louis Cardinal Billot, who happens to be one of Cekada’s favorite theologians. This feature is lengthy, but the patient reader will be rewarded with much clarity regarding the key error of Fr. Cekada. Cekada’s stated position is that a Pope loses his office, or is prevented from being validly elected to the office, for what he calls the “public sin” of heresy. Not wishing to be pinned down, he carefully avoids defining his concocted terminology, but it is clear that by the “public sin” of heresy, he essentially means the internal sin of heresy that the person manifests to many by his external actions (but actions that are not public heresy, as such, as we will explain later). These external actions are what lead others to conclude that he is guilty of the sin of heresy, which, Cekada claims, places the perpetrator outside the Church. That’s Cekada’s Sedevacantist thesis in a nutshell. As we will see (and as we have already presented in our book and prior features), while such an individual may be guilty of the internal sin of heresy, and may even have “manifest his heresy by external signs,” he will only be considered an occult heretic (and hence still a member of the Church), unless his pertinacity is also public. And his pertinacity would be public only if he publicly renounced the Church as the infallible rule of Faith – either by publicly defecting from the Catholic religion, or by publicly admitting that he knowingly and willfully rejects a dogma proposed as such by the Church. This is the common teaching of all the theologians, and most notably, the aforementioned Cardinal Billot, a favorite among Sedevacantist apologists. Now, because none of the recent Popes have publicly manifested their pertinacity (either before or after their elections), Cekada’s “public sin of heresy” theory is “Dead on Arrival.” This point alone puts the last shovel of dirt over Anthony Cekada’s Sedevacantist grave. We have accurately presented Fr. Cekada’s position in our book and articles, even though he claims his position is founded on the “public sin of heresy” as opposed to internal sin of heresy alone (we will explain what we mean by “alone” later). There is a difference between a public sin against the Faith and public heresy. Heresy is a sin against the Faith, but not all sins against the Faith are heresy. Heresy requires pertinacity. Hence, the “public sin” of heresy requires public pertinacity. If pertinacity is not manifest, there is no formal public sin of heresy, but only what must be presumed to be material heresy – regardless of whether the manifested heretical utterance was public (i.e., externalized to many) or occult (i.e., externalized to no one or only a small number). One who knowingly and willfully rejects the Faith interiorly can even “manifest his heresy by external signs” and commit an external sin against the Faith, yet still remain an “occult” heretic. Public pertinacity would be manifest if the perpetrator publicly defected from the Catholic religion, or renounced, by public profession, the rule of the ecclesiastical Magisterium (which none of the Vatican II Popes have done, either before or after their elections). Fr. Cekada ambiguously uses the terms “public sin of heresy” and “public heresy,” but his explanation never requires that pertinacity be public; only that the perpetrator committed a “moral” offense against “divine law” (which even occurs if the sin is secret, or “occult”). Further, in Cekada’s deceptive methodology, whether or not the “moral” offense has been committed is discerned by private judgment, through the observance of external actions – even though the external actions are not public heresy, as such (with public pertinacity). These external actions are what lead others to conclude that the internal “sin” (the moral offense) has been committed. This is precisely how Cekada’s most prominent disciple, Mario Derksen of NovusOrdoWatch.com, explains their position. And because Fr. Cekada admits that “occult” heresy does not cause the loss of ecclesiastical office (nor does it prevent a man from being validly elected Pope), exposing his erroneous use of the terms “public sin” and “public heretic,” completely decimates his Sedevacantist thesis – both his “old argument” (loss of office) and his “new” one (never validly elected in the first place). This is why it’s all over for Fr. Cekada and his “public sin of heresy” theory. He better start thinking up another “new argument”. Let’s now turn to our present article, which provides a substantial amount of background in order to help the reader understand Cekada’s error from every angle. Cekada begins the video with his customary insults (which he usually combines with inappropriate name-calling, so unbecoming for a priest), in an attempt to discredit his opponents and appeal to the will (not the intellect) of his audience. By calling his opponents names and presenting them in the worst possible light, he seeks to place himself on a pedestal of superiority. One can understand why Cekada would feel the need to wrap his arguments in such accidents, since his actual arguments (the substance) are so shallow and easily refuted. And with his decades of practice he perfected the craft. For example, he appeals to the imagination of his viewers by comparing True or False Pope? to, get this, Karl Marx’s Das Kapital, and “the little red book by Mao Tse-tung.” Can you believe that? So, according to Fr. Cekada, all those Traditional Catholics who have endorsed our book, including Bishop Fellay and his seminarian theologians, are on par with the Communists and atheists!? He then appeals to the will and emotion of his readers by describing True or False Pope? as “700 pages of wooden, repetitive, polemical pros. 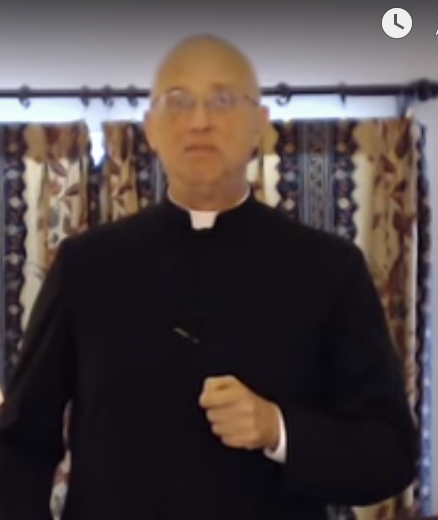 The style is unbearable…” Again, this is another example of his emotionally driven “polemics” designed to poison the well and discourage as many members of the Sedevacantist sect as possible from reading the book. After all, who would want read a book that is “wooden and repetitive, with a style that is unbearable”? Unfortunately for Fr. Cekada, some of his followers are reading the book, and based on the feedback we have received, many of their eyes are finally being opened to Cekada’s errors and deception. "I have finally finished the book. To state that it exceeded my expectations would be putting it too lightly, for the book achieved far more than that. It presented profound and complex ecclesiological doctrines in a very clear, precise and effective manner that was easy to follow and yet did not "dumb it down." Nor did the book engage in the prurient school-yard rhetoric which is apparently so beloved by the extremist polemicists whose errors and heresies it efficaciously refutes." "My family and I have held extensive and profound discussions regarding the contents of your book, particularly in light of our experience of the sedevacantist sects' culture and politics throughout the past fifteen years. I had been the only member of my family who had discontinued adhering to the sedevacantists' errors. However, thanks mostly to the information you and Mr. Salza presented in Chapters 9 through 12, my family has also rejected the folklore of the sedevacantists and have resolved to discontinue attending their old CMRI Mass-center." In light of such responses, we can understand why Fr. Cekada would use every technique possible to discourage his flock from reading the book. And if the book is really so bad, and so unbearable to read, as Cekada pretends, why has he been spending so much time producing one video after another in an attempt to discredit it? You know why, we know why, Fr. Cekada knows why; and Fr. Cekada knows that we know he knows why. In his video, Cekada craftily eliminates the chapters he is unable to respond to by simply saying they are “extraneous,” or by making a snide remark, and simply casting it side. This includes Chapter 17 which is specifically dedicated to refuting his particular error on the new rite of episcopal consecration, which obviously means that Cekada has no answer to our refutation. He also attempts to convince his viewers that our book is irrelevant because Sedevacantists no longer argue that the recent Popes lost their office due to heresy [translation: His argument was sufficiently refuted, so he switched tactics. ], but instead now claim that none of the post Vatican II Popes were validly elected to begin with (thereby preventing them from having to deal with the prior refutations). Fr. Cekada would have his viewers believe that we don’t address this “new argument” in the book, when, in reality, chapter 12 is specifically dedicated to refuting it. In fact, the chapter is dedicated to refuting Cekada’s own articles explaining and defending his “new argument” of pre-election heresy preventing a man from being validly elected. If you have the book, turn to page 369 and see for yourself. But that’s not all. Cekada then lies to his viewers by saying chapter 12 deals with the loss of office (See: 24:20 – 24:25). Yes, you read that correctly. We will prove this in a moment. But first let's read Cekada in his own words. The following is from his recent video. "Following the publication of a series of articles over the past ten years (by these authors and others) on the grave errors of the Sedevacantist thesis, Fr. Cekada, having not been able to offer a cogent response to the critiques of his theories, posted an article on his website declaring that “the Sedevacantist argument must change” (which, of course, must be the case when the argument – that a Pope loses his office for the sin of heresy under Divine law – is false). So you see, dear reader, what Fr. Cekada told his viewers is a bold-faced lie. As the foregoing quotation from our book proves, we do address the “new argument” after all. And we should also note that, contrary to what Cekada claims, Chapters 6, 7 and 8 also do not address the loss of office. Chapter 6 explains what merely renders a person suspect of heresy; chapter 7 discusses the difference between heresy and lesser errors, and chapter 8 addresses papal infallibility. Yet Cekada disregards these chapters by claiming that they all deal with the “old argument” of loss of office. Now it is becoming clear why Cekada would go to such lengths to discourage his flock from reading the book. After all, if they don’t read the book, he can tell as many customary lies as he wants to discredit it without getting caught. The devil himself would be the first to tip his hat to Cekada. He is a clever one. Fr. Cekada then tells his viewers that we should have removed all the material from our book that discusses the loss of office (“Chapters 6 through 12 – nearly 250 pages”), since, as he says, this argument no longer applies. But if it no longer applies, why haven’t Cekada and his followers removed the material from their website that defends their “loss of office” theory? This is a huge problem for Fr. Cekada’s contention, wouldn’t you say? And if this argument is no longer relevant, why did Cekada’s most fervent disciple, Mario Derksen, recently write an entire article in order to present a new “proof-text” from Cardinal Billot to argue for the “loss of office” theory? Didn’t Fr. Cekada just say that this argument no longer applied? What’s going on here? Here’s the explanation. As we have noted many times before, the Sedevacantists constantly switch back and forth between their arguments, just like the Protestants. As soon as you pin them down by refuting one argument, they simply switch to another. They will use whatever argument they can to lead Catholics out of the Church and into their sect, even if they believe the argument no longer applies. That is why it was necessary for us to address all of their arguments in one book. Doing so leaves them no escape except to do what Cekada did in his video, namely: 1) present what he claims is his “current” argument; 2) pretend that we did not address the argument, and then 3) claim that the chapter in which we addressed and refuted the argument actually dealt with an unrelated issue. Cekada certainly knows how to cover all of his bases. In some respects, you really do have to hand it to Fr. Cekada, particularly at this stage in his life. There are few individuals more skillful and resolute than he at spinning a web of deceit to lead Catholics out of the Church. The anti-Catholic Jack Chick has nothing over Fr. Anthony Cekada. It’s hard to imagine that anyone could have mastered the art of deception as Cekada has without having formal training in the craft. But then again, perhaps he’s just a natural? While Cekada advances other absurd arguments in his video, we took special notice of his claim that we “misrepresented” his Sedevacantist position. Since this accusation actually touches upon the heart of Fr. Cekada’s error, we will address it in some detail. What we will demonstrate in this feature article is that what Fr. Cekada calls “public heresy” (or “the public sin of heresy) is really only occult heresy, and we will support our claim by citing the authority of one of Cekada’s favorite theologians, Cardinal Billot. This point is extremely important since Fr. Cekada himself admits that a man who is an occult heretic can be validly elected Pope and can remain Pope. Therefore, if we are correct (that Cekada’s understanding of “public heresy” is actually occult heresy, and it is, as you will see), then Cekada will have no choice but to concede that he has been wrong, all these years, and that the recent Popes have all been true Popes. This is why we titled this feature “It’s All Over for Fr. Anthony Cekada.” Indeed, it is. The second issue (which we will address first), is Cekada’s claim that we have erred in Chapter Five of our book (the only chapter he covers in any depth in the video) by, in his own words, “confusing the internal sin of heresy with occult heresy. And they continue to do so” says Fr. Cekada, “at least 70 times throughout their ensuing arguments.” He goes on to say: “Internal heresy pertains to the mode of expression of the heretical act; occult pertains to how many people know of the heretical act.” He proceeds to accuse us of setting up a false opposition between internal heresy and public heresy, which, he says, are in different categories. It is evident that when we are referring to the internal sin of heresy alone as “not severing the external bonds of unity,” we are referring to occult heresy (since public and notorious heresy does sever the external bond). And we added the word “alone” at least 15 times in that chapter so our meaning would be clear. Again, this shows that Fr. Cekada is either clueless, or is deliberately attempting to poison his audience by creating a smoke screen of nonsensical distinctions because he has no real arguments to offer. It is also worth noting that Chapter 5 is linked to Chapter 3, as Fr. Cekada himself stated in his video (Chapter 3 establishes the foundation for Chapter 5). In Chapter 3 we make the clear distinction between the internal and external bonds of unity. We explain that the internal bonds are severed, in their entirely, by internal heresy alone (meaning formal heresy that is not public), whereas the external bonds are not. In Chapter 5 we refer back to this foundational material from Chapter 3 when explaining that the internal heresy of sin alone does not cause the loss of office (since it does not sever the external bonds), nor does it cause a person to cease being a member of the Church. Anyone who has read the book would know that when we use the words internal heresy alone, we are equating it with occult heresy (not addressing the modes of expression). And why did we equate the sin of heresy alone with occult heresy? Because the sin of heresy alone IS occult heresy. So, this entire section of Cekada’s video is nothing but a red-herring to confuse and deceive those who have not read the book. There’s much more we could say about this section of his video, but it would be superfluous since it is not relevant to the main issue. "Beware of notorious heretics, such as Cajetan and Robert Bellarmine, who…deny the basic dogma that an occult formal heretic is not a member of the Catholic Church and not Catholic. They hold the formal heresy, introduced by the scholastics, that an occult formal heretic is a member of the Catholic Church and Catholic. Hence they believe that an occult formal heretic can hold an office because they heretically believe he is a member of the Catholic Church and Catholic." So, as we can see, some Sedevacantists do publicly hold that even an occult heretic cannot be Pope, without disguising their position with ambiguity, as does Fr. Cekada. What we will show in a moment is that a normal person who reads Fr. Cekada’s writings will conclude that it is the internal sin of heresy alone (i.e., occult heresy, not public heresy) that causes the loss of office, or prevents a person from validly acquiring the papal office. No doubt, he uses the term “public sin” and “public heretic,” but, as we will show, his explanation does not fit the term. In fact, his explanation is so ambiguous that it is difficult to believe it is not intentional. Why would it be intentional? Because if he can convince his readers that a man who commits the sin of heresy (the “moral” offense against “divine law”) cannot become Pope, or cannot remain Pope, it makes it very easy for him to lead Traditional Catholics into his sect, since most Traditional Catholics do believe the recent Popes have been guilty of the sin of heresy and hence lost the Faith. If Cekada can lead them to believe that “a heretic cannot be Pope” (without making any of the necessary theological distinctions), then, if they personally believe the Pope has fallen into heresy, they will conclude he is not the Pope. This is precisely how Cekada ensnares many of his unsuspecting victims and leads them out of the Church. But by using the terms “public sin” or “public heresy” it allows him an escape route when confronted by someone who does know the necessary distinctions, and seeks to pin him down with them. The problem is that for heresy to be a “public sin,” not only does the public error itself have to be qualified as heresy (rather than a lesser error), but pertinacity (the willful, conscious departure from the Church as the rule of faith) must also be public. Also note that there is a difference between a public sin against the Faith and a public sin of heresy. Heresy is a sin against the faith, but not all sins against the faith are heresy. Public sins against faith which are not heresy, as such, neither prevent a man from becoming Pope, nor do they cause a Pope to lose his office. This explains why Pope Marcellinus was not considered to have fallen from the pontificate when he offered incense to the false “god” Jupiter, which was certainly a public sin against the Faith (but not a public sin of heresy). Before we delve deeper into Fr. Cekada’s errors, let us defines our terms. Material Heresy: The material (or objective) aspect of heresy is a doctrine, contained in the source of revelation (Scripture or Tradition), which has been infallibly proposed for belief by the Church, either by a solemn decree or by the force of the ordinary and universal Magisterium. It is important to note that not all errors are qualified as heresy. The reason this is important is because it is common today for people to use the word “heresy” in abroad sense to refer to any doctrinal error that undermines or endangers the faith, but, strictly speaking, heresy is a narrow term that only applies to revealed truths that have been infallibly proposed by the Church. "A person is not to be called a heretic as soon as he shall have offended in matters of faith [material aspect]; but he is a heretic who, having disregarded the authority of the Church, maintains an impious opinion with pertinaticy [formal aspect]." "Pertinacity, which is the characteristic note of heresy, is an obstinate adhesion to one’s own opinion, in opposition to [a truth of] faith that is sufficiently known. The heretic gainsays the faith, not out of ignorance, nor moved by any sufficient reason, but knowingly and willingly, quite simply from a movement of bad will… That this sort of pertinacity is necessary for heresy is evident from the term itself, which, as we have said already, signifies the act of choosing. Just as faith requires the pious motion of the will, which inclines the intellect to assent to truth that is certain but dimly revealed, so heresy, which is opposed to faith, requires a perverse inclination of the will, by which one pertinaciously disbelieves a truth proposed by the Church." Now, when considered from the perspective of the individual (the subject), both the material aspect of heresy (which exists in the intellect) and the formal aspect of heresy (which exists in the will) can be public or occult. If a person adheres to a heretical proposition internally, or expresses it privately to only a few, the material aspect of the heresy is occult (materialiter occultum). If a person publicly professes a heretical doctrine, and it is widely known or was done under circumstances by which it can be widely known, the heretical matter would be public. The form of heresy (pertinacity) can also be public or occult. If one knowingly and willfully denies a dogma interiorly (and hence commits a mortal sin of heresy, thereby losing all the supernatural virtues), yet does so without providing sufficient external evidence of a willful denial, pertinacity would be formally occult (formaliter occultum). If he were to provide sufficient evidence of pertinacity in the external forum – e.g., by publicly admitting that he knowingly and willfully rejects an article of Faith, or by openly leaving the Church, thereby publicly rejecting it as the rule of faith - the formal aspect of heresy would be public. What makes one a formal heretic is refusing to submit to the Church it as the rule of faith, not merely by professing a heretical doctrine. Because formal heresy requires pertinacity, and because pertinacity can be public for occult, it follows that for someone to be guilty of the public sin of heresy (i.e., public formal heresy), their pertinacity, and hence culpability, would also have to be public. If only the material aspect was public (i.e., publicly professing a heretical doctrine), it would not constitute the public sin of heresy. One who professes a heretical doctrine to many is not, for that reason alone, a public formal heretic. We provide many examples in True or False Pope? of prelates who publicly professed heretical doctrines (e.g., Archbishop Darboy, Michel de Bay), yet were considered by their contemporaries (including Popes and Doctors of the Church) to be priests and/or bishops in good standing, precisely because their pertinacity was not public (it was not proven in the external forum). Because there was no evidence of pertinacity, Erasmus was not considered a “public heretic,” even though it would have been very easy to “logically conclude,” based on his own writings, that he had fallen into the internal sin of heresy and hence lost the Faith. You can only imagine what “logical conclusion” Cekada and his colleagues would have reached if one of the recent Popes taught what Erasmus did. Now, for someone to be guilty of the moral offense of heresy (a sin against divine law), it would not require that pertinacity be public, since even an occult (non-public) sin of heresy is contrary to divine law, just as an occult sin of lust is contrary to divine law. In other words, a person who is guilty of the moral offense of heresy, is not necessarily guilty of the “public sin” of heresy – even if he publicly professes a truly heretical doctrine (as opposed to a lesser error), since doing so would only constitute the material aspect of heresy, and not the formal element of pertinacity, which remains occult. To be guilty of the “public sin” (as Cekada calls it), he would have to manifest his pertinacity (his guilt) by publicly rejecting the Church as the rule of faith, whether on a single dogma or in toto. Needless to say, none of the recent Popes have done this. Consequently, they have not been guilty of the public sin of heresy, even though they may have been guilty of the moral offense of heresy, and given many reasons to suspect the interior sin was committed. As we have noted already, in his articles Fr. Cekada often uses the term “public heresy” and “public sin” when discussing his position, but he neither defines the terms, nor does he show how the recent Popes meet his personal definition. 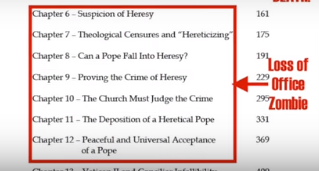 He simply declares them public heretics ("public formal heretics," as he did on his video) on his own authority, and then quotes canonists who teach that a public heretic cannot be Pope. "SOME WRITERS have raised the following objection: No one can become a true heretic unless Church authority first warns or admonishes him that he is rejecting a dogma. Only after that does he have the “pertinacity” (stubbornness in false belief) required for heresy. No one issued warnings to the post-Conciliar popes about their errors, so they are not pertinacious. Thus they cannot be true heretics. (1) Moral: Heresy as a sin (peccatum) against divine law. (2) Canonical: Heresy as a crime (delictum) against canon law. (2) Canonical: Crime against canon 2350.1 of the Code of Canon Law that results in automatic excommunication. "It is a pope’s public sin of heresy in this sense that strips him of Christ’s authority (emphases added)." So notice, while Fr. Cekada uses the term “public sin,” his explanation does not require that pertinacity be public – only that the person be guilty of the “moral” offense, that is, “the sin of heresy against divine law” (using his words verbatim). And the example he uses is abortion, which “results in the loss of sanctifying grace.” But a loss of grace would take place even if the abortion is done in secret, demonstrating that when Cekada uses the term “public” sin, he is really referring to “moral” offense. And the quotation he cited from Michel about pertinacity also in no way indicates that it would have to be public, but only a “sin of heresy” which applies equally to an occult sin of heresy. Cekada then follows up his explanation by saying he is referring to a “public sin of heresy in this sense,” that is, in the sense that heresy is a “sin” and “moral” offense which causes the “loss of grace.” He then claims that such a sin (i.e., a moral offense) strips a Pope of Christ’s authority, even though nothing in his explanation requires that the necessary element of pertinacity be public, and everything in his explanation would apply equally to a private sin. One finds this sort of misleading deception throughout Fr. Cekada’s writings. Thus, if one reads Cekada’s writings carefully, the conclusion they will draw is that it is indeed and ultimately the internal sin of heresy (a “moral” offense” against “divine law”) that causes the loss of office. What is “public” are the external actions – “the behavior” to use the wording of his recent video – which leads an observer to conclude that the internal sin has been committed (e.g., offering incense to the false god Jupiter), even though the external actions are not a “public sin of heresy,” as such, since there is no public pertinacity. This most critical distinction between public pertinacity (which is required for the “public sin” of heresy), and external actions which may lead one to believe the “sin” of heresy has been committed, underscores Fr. Cekada’s fundamental error. So, no, Fr. Cekada, we have not mischaracterized your position. It’s as plain as day. What you call “public heresy,” is nothing but occult formal heresy that is “discerned” by an act of private judgment. And that means the entire foundation upon which you, Fr. Cekada, have erected your Sedevacantist position is “Dead on Arrival,” if we may use your own words. Let us further illustrate the difference between an internal sin, which is discerned by public actions, as opposed to a true public sin, with an example used by Our Lord Himself. In the Sermon on the Mount, Our Lord said “whosoever shall look on a woman to lust after her, hath already committed adultery with her in his heart.” Now, it may be possible for one to conclude that a man has “committed adultery in his heart” (i.e., lusting after a women) by observing his external acts (how he is looking at her, etc. ); but there is an evident difference between discerning that one has committed the internal sin of an impure thought (adultery in the heart), and one who has committed the public sin of adultery (such as the woman in the Gospels who was caught in the act). The former is an internal sin - a moral offense against divine law - while the latter is the public act itself. The difference is even found in civil law, since in some states the public act of adultery is forbidden (it is a felony in Michigan and Wisconsin), while the internal sin is not, even if one believes it has occurred based on the observance of external actions. Now, in light of this distinction, let us see how Fr. Cekada’s most fervent disciple, Mario Derksen, explains their position, which further proves our case. "Conceding that heresy, by divine law, results in automatic self-expulsion from the Catholic Church, Salza asks: ‘How does one determine whether a Cardinal was a heretic prior to his election to the papacy? How does one know whether self-expulsion for pre-election heresy has occurred?’ (John Salza, “The Errors of Sedevacantism and Ecclesiastical Law,” p. 1). We could not have explained Cekada’s (and Derksen’s) erroneous methodology any better. Notice that Derksen refers, not to the public sin of adultery, but to an interior sin (“impure thoughts”), which are “manifest by his actions” (“he looked at her with lust in his eyes,” etc.) which are observed externally. So, the explanation of Derksen confirms precisely what we have said about Fr. Cekada’s thesis, namely, that one who studies Cekada’s writings (as Derksen has) will be led to believe that it is the internal sin of heresy (discerned from external acts) that causes the loss of office, and not the public act itself (i.e., openly leaving the Church, or publicly admitting to knowingly reject an article of faith, neither of which the Vatican II Popes have done). The problem is that the explanation of both Cekada and Derksen only constitute occult heresy (as we will show in a moment), which even Fr. 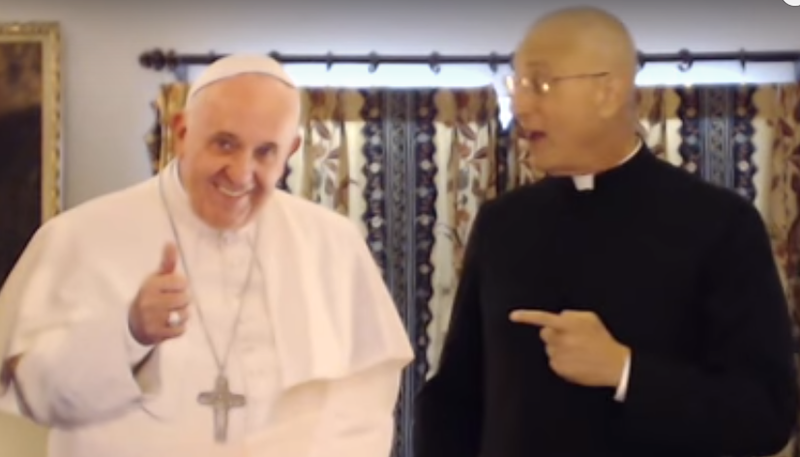 Cekada admits does not prevent a man from being validly elected Pope! "A crime is notorious notorietate facti [notorius by fact] when it is publicly known and has been committed under such circumstances that it cannot be concealed by any artifice or be excused by any legal assumption or circumstantial evidence. … It is this element of inexcusability or of knowledge of the criminal character of the deed that appears to distinguish a public from a notorious crime. For the text manifestly lays stress on divulgation with regard to public crimes, and emphasizes the criminal character as known and inexcusable [for a notorious crime]." Cardinal Billot, along with many other theologians, teaches that a Pope who became a notorious heretic – that is, one whose pertinacity is widely known, and “cannot be concealed by any artifice or be excused by any legal assumption or circumstantial evidence” – will fall from the pontificate. You would never know that, however, by reading Fr. Cekada’s presentation of Billot’s teaching, because Cekada only provides half-sentences from Billot in order to conceal what the esteemed theologian actually taught. Why does Cekada only cite a half sentence? Because it is the only way he could defend his ambiguous position of loss of office due to the “moral offense” of heresy (by violating “divine law”). "Like many who have written against sedevacantism, one fundamental flaw runs through Mr. Sparks’ article: he seems utterly unaware of the distinction between human ecclesiastical (canon) law and divine law, and how this distinction applies to the case of a heretical pope. Notice, once again, that nothing in Cekada’s explanation implies that the “sin of heresy” would have to be public (with public pertinacity). While he does use the term “public sin” in the article, as with the other articles he’s written, his explanation does not fit the term. "Given, therefore, the hypothesis of a pope who would become notoriously heretical, one must concede without hesitation that he would by that very fact [i.e., by becoming a notorious heretic] lose the pontifical power, insofar as, having become an unbeliever, he would by his own will be cast outside the body of the Church." Notice, the Cardinal is not merely speaking of the “sin” of heresy, as Fr. Cekada would have his readers believe. Rather, he is referring to a Pope who became a notorious heretic, which requires public pertinacity (which constitutes the crime of heresy). The Cardinal is simply repeating what all the other theologians have taught, namely, that the public crime (not the sin) of heresy “casts one outside the body of the Church.” But in order for one to be guilty of the crime of heresy, his pertinacity must be public. So, the clever and crafty Fr. Cekada has been caught with his proverbial pants down, once again. And unlike Fr. Cekada, who hides behind ambiguity and even outright deception, Cardinal Billot explains what he means by notorious heresy. He also defines occult heresy. And it is an explanation that Fr. Cekada will never reveal to his readers. And neither will any other Sedevacantist apologist. Read on. The Sedevacantists have translated portions of Cardinal Billot’s writings, but they have purposely avoided translating his explanation of notorious heresy and occult heresy, since his explanation of these terms completely eviscerates their entire thesis. And it is not as though they are unaware of what the Cardinal wrote. We say that because Sedevacantist apologist John Daly published a now well-known quotation of Billot, which is found precisely one paragraph before Billot’s explanation of notorious vs. occult heresy (which we provide below). Why did Mr. Daly fail to translate the next paragraph? Most likely for the same reason that he “forgot” to quote the second half of a sentence by Pius IX’s Tuas Libenter in the article he wrote claiming that Vatican II violated the Church’s infallibility – namely, because the material he omitted completely destroys his thesis. Unfortunately, such dishonest tactics are common-place amongst the Sedevacantist apologists, as we saw above with the half-sentence hatchet job that Cekada applied to Billot’s quotation. As we will see below, in the very next paragraph (which Daly omitted), Cardinal Billot explains that one who manifests his heresy by external signs, and who may even be guilty of the sin of heresy (e.g., by interiorly denying a dogma of the faith) – is still a member of the Church, unless and until he publicly renounces the Church as the rule of Faith. If such a person does not depart from the infallible rule of the Church’s Magisterium by a public profession, he is only considered an occult heretic and, if he’s a cleric, does not lose his jurisdiction. You read that correctly. "THESIS 11 — ALTHOUGH THE BAPTISMAL CHARACTER IS SUFFICIENT, OF ITSELF, TO INCORPORATE A MAN INTO THE TRUE CATHOLIC CHURCH; NEVERTHELESS, TO HAVE THIS EFFECT IN ADULTS A DOUBLE CONDITION MUST BE MET. THE FIRST CONDITION IS THAT THE SOCIAL BOND OF UNITY OF FAITH BE NOT IMPEDED BY FORMAL, OR EVEN MATERIAL, HERESY. NEVERTHELESS, BECAUSE THIS SORT OF IMPEDIMENT IS CAUSED ONLY BY HERESY THAT MANIFESTS ITSELF IN AN OPEN PROFESSION, WE MUST CONCLUDE THAT ONLY NOTORIOUS HERETICS ARE EXCLUDED FROM THE BODY OF THE CHURCH. "We must establish, in the first place, the proper sense of the term 'heresy.' According to the etymology of the term and its actual usage, which has been the same throughout all of tradition, that man is properly called a heretic who, after embracing Christianity in the sacrament of baptism, does not accept from the magisterium of the Church the rule of what is to be believed, but takes from somewhere else the norm for his beliefs in matters of faith and concerning the teaching of Christ. He might follow other religious teaching authorities, or he might adhere to the principle of free examination, professing the complete independence of reason; or, finally, he might disbelieve only one of the articles that are proposed by the Church as dogmas of faith. "Note, then, the difference between infidelity and heresy. First of all, the general sin of infidelity can exist in any man having the use of reason, while heresy is proper to one who has received the sacrament of faith, that is, the baptismal character. Moreover, for general infidelity it is enough for someone to disbelieve truths revealed by God and sufficiently proposed to him as such. The notion of heresy, however, includes another element: departure from the social magisterium, which was divinely constituted to be the authoritative organ for the proposal of revealed truth in Christian society. Hence, general infidelity prescinds from any special condition in its opposition to divine faith, while heresy is opposed to this same faith in precisely the way that it ought to be in a Christian: under the rule, and in dependence upon that authority to which it belongs to govern, in the place of God, the society of believers. "Now, heretics are divided into formal and material. Formal heretics are those to whom the authority of the Church is sufficiently known. Material heretics are those who, affected by invincible ignorance concerning the Church herself, choose in good faith another rule to determine what they are to believe. The heresy of material heretics is not imputed as a sin; on the contrary, it is possible for them to have even that supernatural faith which is the commencement and root of all justification; for, they might believe all the principal articles explicitly, and believe the others, not explicitly, but implicitly, by the disposition of their minds, and the good intention they have of believing all truths whatsoever are sufficiently proposed to them as revealed by God. Consequently, they can still belong in desire to the body of the Church and meet the other conditions necessary for salvation. "Nevertheless, because we are concerned with real incorporation into the visible Church of Christ, our thesis does not distinguish between formal and material heretics—understanding the latter according to the notion of material heresy that we have just explained, which alone is the proper and genuine sense of the term. 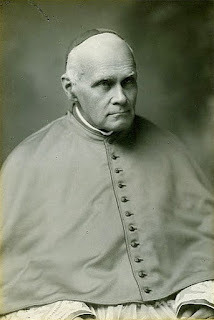 For, if by “material heretic” you understand one who professes dependence upon the Magisterium of the Church in matters of faith, but denies something defined by the Church because he is ignorant of the fact that it was defined, or holds an opinion contrary to Catholic teaching because he mistakenly thinks that it is taught by the Church, then it would be utterly absurd to put material heretics outside the body of the true Church; but this would also be to distort completely the true meaning of the word. For, a sin is called “material” only when all the elements of that sin are present materially, but without advertence or deliberate choice. Now, heresy by its nature requires departure from the rule of the ecclesiastical magisterium. In the case cited, there is no departure; there is only an error of fact about what the rule dictates. Such an error cannot be heresy, even materially so." COMMENT: Note that a Catholic (i.e., a person that accepts the Church as the rule of faith), who publicly professes a material heresy, is not considered a material heretic (he is not a heretic at all). In simple terms, a material heretic is a baptized non-Catholic. This is important because theologians who use the term material heretic correctly, also correctly note that material heretics are not true members of the Church, even if they are in good faith. Some Sedevacantists who have read these quotations have used them to argue that a Catholic who professes material heresy is not a member of the Church, since they erroneously believe a Catholic who professes material heresy is “material heretic,” when, in reality, he would only be a Catholic in material error. COMMENT: Here we see that those who “manifest their heresy by external signs, but not by a public profession,” are only considered occult heretics. Did you catch that, Fr. Cekada? How about you, Mario Derksen? How about you, Fr. Kramer? In other words, if a person merely commits external actions that lead one to believe the person has committed the sin of heresy (remember Derksen’s earlier explanation about impure thoughts), they are not thereby considered a public or notorious heretic, but only an occult heretic. Could Cardinal Billot’s teaching be more at odds with the Sedevacantist thesis? Could a more devastating refutation of Fr. Cekada’s theory from one of the greatest theologians of the twentieth century be imagined? Notice that the person may not only “manifest their heresy by external signs,” but even “sin against the faith externally,” yet only be considered an occult heretic, since none of this would sufficiently prove pertinacity in the external forum. For example, all those acts which render a man “suspect of heresy” (engaging in false worship, propagating heretical doctrines, externally professing the error of heretics, favoring heretics “because of their heresy,”) may be objective sins against the Faith externally, but do not constitute the “public sin” of heresy. Infamous 1986 Assisi "Prayer Meeting"
We could also refer to John Paul II and Benedict XVI’s encouraging false worship at Assisi as “sins against the faith externally,” but such external actions would not prove even the sin of occult heresy, much less public heresy. One might also include certain Catholic politicians in this category, who may personally accept the Church’s moral teachings (publicly acknowledging the Church as the infallible rule), but for political reasons refuse to “impose” their Catholic views on non-Catholics and hence not oppose evil legislation. Such individuals may be sinning externally against the Faith by such actions, but, again, their pertinacity would not be public, if it existed at all. And to be clear, when Billot speaks of those who depart “from the rule of the Church’s magisterium by public profession,” he means those who openly profess that they do not accept the Church as the rule of faith, or openly profess to knowingly reject a dogma defined by the Church. This is most certainly the case since, as we just saw, Billot maintains that one can sin externally against the Faith itself, and not be a “public heretic.” He does not mean one who merely “publicly professes” a heretical doctrine, even to millions of people, since this is only the matter of heresy. He clarified this point a few paragraphs later when he wrote: “Notorious heretics are those who by their own profession do not follow the rule of the ecclesiastical magisterium.” (notorii haeretici ii sunt qui professione sua non sequuntur regulam ecclesiastici magisterii). "John Paul II does not believe he is teaching contrary to Church dogma, at least it cannot be proven that he believes he is. JP2 not only verbally professes to be Catholic, he also verbally submits to the Catholic Church and the papacy." "I’m sure that I haven’t said anything more than what’s written in the social doctrine of the Church...I am the one following the Church…And in this it seems that I’m not wrong. I believe that I never said a thing that wasn’t the social doctrine of the Church. Things can be explained, possibly an explanation gave an impression of being a little ‘to the left,’ but it would be an error of explanation…all of this, is the social doctrine of the Church." 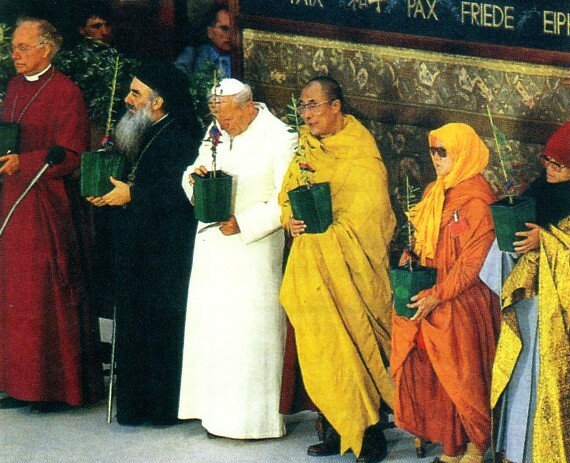 Which one has not PUBLICLY rejected the Church's Magisterium? Pope Francis has not “publicly professed” that he is departing from the rule of the Magisterium, either before or after his election. On the contrary, he has public professed that he believes he is not doing so. And the same is true for John Paul II who, as Ibranyi admitted, did not profess that he was “teaching contrary to Church dogma,” but instead, “verbally submit[ted] to the Catholic Church” and verbally professed “to be Catholic.” Hence, both of these Popes have been, at most, occult heretics (as opposed to public or notorious heretics), and even that would only be true if they interiorly lost the faith (by committing the internal sin of heresy). And this is true even if these Popes externally committed acts that rendered them suspect of heresy (acts that may lead a person to believe that the interior sin was committed), or acts that constituted sins against the Faith. "That occult heretics are still in the Church can be shown, in the first place, by an argument drawn from the general principle that was declared above. For, baptism of its very nature gathers men into the visible body of the Catholic Church; this effect is always joined to it, unless there be something in the recipient of baptism that prevents it—something incompatible with the social bond of ecclesiastical unity. Moreover, the social bond, because it is social, is of it very nature external and manifest. As long, therefore, as heresy is not openly professed, but stays within the mind, or is confined to manifestations that do not suffice for notoriety (vel iis continetur manifestationibus quae ad notorietatem non sufficient), it by no means prevents one from being joined to the visible structure of the Church; and by this fact the baptismal character (by which we are made to be of the body of the Church) necessarily continues to have its effect." We have already seen that none of the recent Popes have been notorious heretics either before or after their elections; therefore, they have remained members of the visible structure of the Church, and hence were not prevented from becoming, and remaining, true and valid Popes. And we should also point out that the Cardinal is not referring to how many people know about the "manifestations" (only a few or a large number) but whether or not the manifestations qualify as notoriously heretical. In his discussion of occult vs. notorious heresy, Cardinal Billot refuted the objection that even a notorious heretic would remain a true member of the Church. He formulated the objection by addressing the contention that the Jansenists were notorious heretics since they openly rejected the papal bull that condemned Jansen’s errors and heresies, yet they remained members of the Church. Therefore, the objection maintains, notorious heretics can remain true members of the Church. "Objection: At the time of the Jansenist heresy, there were many bishops who openly appealed against the Bull Unigenitus [the papal bull of Clement XI that condemned over 100 Jansenist propositions] and other papal Constitutions, whether preceding or following, that had been received in the whole Church. These, therefore, were notorious heretics. Notwithstanding this, they were still considered as true bishops having communion with the Apostolic See, and therefore as true members of the Church. Therefore it is false to say, even of notorious heresy, that it puts a man outside the body of the Church. Notice, the Jansenists were excused from notorious heresy by their craftiness and subterfuge (i.e., deceit), which is precisely the modus operandi of the “wily Modernists” (as Fr. Fenton called them), who use ambiguity and double-speak to conceal their errors while at the same time spreading them throughout the Church. If this tactic, as evil as it is, excused the Jansenists from notorious heresy, it likewise excuses the Modernist clerics of our day. And to be clear: the reason it excused them is because the tactic they used concealed their pertinacity. Because their pertinacity was hidden (occult), they were, at most, occult heretics (that is, if they were guilty of the internal sin of heresy), but certainly not public or notorious heretics, which is why they remained members of the Church in good standing – just like the Modernists prelates of our day. And it is clear that the acts themselves were public - "they openly appealed against the Bull" - not occult, that is, not externalized only to a small number. Now, because Fr. 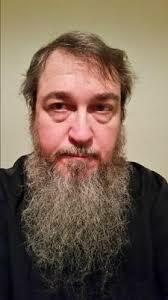 Cekada claims that his true position is that only “public heretics” (not occult heretics) are incapable of becoming or remaining Popes, he, by his own stated position, has refuted the Sedevacantist thesis. Because Fr. Cekada cannot prove public pertinacity in the case of the Vatican II Popes before their election (when they were subject to canon law), he is forced to admit that they were not “public heretics,” and that what he has been calling “public heresy” all these years, is, in reality, nothing more than occult heresy. In other words, Cekada must now admit that he has been dead wrong about the validity of the recent Popes. Will he do so? Only if he values his eternal salvation more than his temporal reputation. Time will tell. "Others [other bishops] receive their jurisdiction from the Church, and the Church continues to give it to them until they are denounced. The pope, however, does not have his jurisdiction from the Church, but from Christ. Nowhere has it been declared that Christ would continue to give jurisdiction to a manifestly heretical Pope, since his heresy could become known to the Church, and the Church could provide another pastor for herself. Nevertheless, the more common opinion (sententia communior) holds that Christ, by a special dispensation, for the common good and tranquility of the Church, will continue to give jurisdiction even to a manifestly heretical pope, until he has been declared a manifest heretic by the Church." "[I]in no case, even that of heresy, is the Pontiff deprived of his dignity and of his power immediately by God himself, before the judgment and sentence of men. This is the common opinion today." "So long as it has not been declared to us juridically that he is an infidel or heretic, be he ever so manifestly heretical according to private judgment, he remains, as far as we are concerned, a member of the Church and consequently its head. Judgment is required by the Church. It is only then that he ceases to be Pope as far as we are concerned." As we explain in our book, and reason itself confirms, this “common teaching” makes perfect sense. For if Christ were to secretly deprive a heretical Pope of the pontificate while the Church still tolerated him as Pope and recognized him as such, we would never know for sure if and when a Pope lost his office for heresy, or which of the Popes of the past drifted into heresy and secretly lost their office. And this would paralyze the Church, since any ostensibly legitimate act of the Pope would be uncertain. With fallen human nature as it is, such uncertainly would quickly lead to confusion and division – just like we see in Protestantism, and now Sedevacantism, where everything is based upon each person’s private judgment. This explains why John of St. Thomas said “it cannot be held” that Christ will depose a Pope for heresy before he is declared a heretic by the Church. "It is more probable that the Supreme Pontiff, as a person, might be able to fall into heresy and even a notorious one, by reason of which he would merit to be deposed by the Church, or rather declared to be separated from her. (…) Observe, however, that, though we affirm that the Supreme Pontiff, as a private person, might be able to become a heretic and therefore cease to be a true member of the Church, (…) still, while he was tolerated by the Church, and publicly recognized as the universal pastor, he would really enjoy the pontifical power, in such a way that all his decrees would have no less force and authority than they would if he were truly faithful. The reason is: because it is conducive to the governing of the Church, even as, in any other well-constituted commonwealth, that the acts of a public magistrate are in force as long as he remains in office and is publicly tolerated." So there you have it. We have already challenged the Sedevacantists to produce a quotation from one of the Church’s traditional theologians who contradicts the foregoing teaching – that is, a citation saying that Christ will deprive a heretical Pope of his office while he is being tolerated by the Church - and they have not done so. That is because none exist. Fr. Smith’s book was meticulously reviewed by two canonists in Rome who noted several inaccuracies that required revision, but nothing objectionable was noted about the above citation, which remained in all of the future editions. What this proves is that, contrary to what the Sedes claim, nothing in Vatican I prohibits the Church from declaring a Pope guilty of heresy. Now, whether one holds that the fall from office occurs, technically, just before the declaratory sentence is issued, immediately after it is issued, or after the Church performs a separate ministerial act, is fine, since this is disputed by the theologians and the Church has never settled the matter. But what is important is that as long as the Church is tolerating a heretical Pope, and continues to recognize him its head, he remains a true and valid Pope; and no Sedevacantist apologist has ever produced an authoritative citation that says otherwise. In PartII we will further refute Fr. Cekada’s “new argument” by providing infallible certitude that none of the recent Popes were “public heretics” prior to their election. We will also be providing more material that, to our knowledge, has never been translated into English and published – and this new material is from one of the greatest Thomists the Church has ever produced, perhaps second only to the Angelic Doctor Himself. This theologian not only proves that Fr. Cekada’s “new argument” is false, but also explicitly states that it is heretical! The title of the article is “Bergoglio’s Got Nothing to Lose, So The Sedevacantist Argument Must Change,” (May 7, 2014). http://www.fathercekada.com/2014/05/07/ bergoglio-hes-got-nothing-to-lose/. Ibranyi, “Cajetan’s and Bellarmine’s Heresies on Formal Heretics and Loss of Papal Office,” originally published December 2012, (revised November 2013). As we show in True or False Pope?, Mr. Daly quoted half of a sentence (which seemed, on the surface, to supported the point he was making), but “forgot” to include the second half, which directly contradicted the entire thesis of his article (see True of False Pope?, pp. 449-456). Ibranyi, “Against John Lane,” December 2009. Pope Francis (September 22, 2015). See Catholic News Agency’s report at http://www. catholicnewsagency.com/news/full-transcript-of-popes-in-flight-interview-from-cuba-to-us-78637/. John S. Daly, “Pertinacity: Material and Formal Heresy,” 1999. See http://www.sede vacantist.com/pertinacity.html. Catholic Encyclopedia (1913), vol. IX (Fr. Paul Laymann), p. 95.